Description: This is a text description of the trial and everything that goes into it. This is a text description of the trial and everything that goes into it. This is a text description of the trial and everything that goes into it. This is a text description of the trial and everything that goes into it. Researchers from the University of Miami Miller School of Medicine’s John P. Hussman Institute for Human Genomics are part of a five-university collaboration receiving a $12.6 million, four-year grant from the National Institute on Aging (NIA), part of the National Institutes of Health (NIH), to identify rare genetic variants that may either protect against, or contribute to Alzheimer’s disease risk. At the University of Miami, the Consortium for Alzheimer’s Sequence Analysis (CASA) is led by Margaret A. Pericak-Vance, Ph.D., Director of the John P. Hussman Institute for Human Genomics and the Dr. John T. Macdonald Foundation Professor of Human Genomics, who is one of the principal investigators of the study. Other University of Miami investigators include Eden Martin, Ph.D., professor of human genetics and public health sciences; Gary Beecham, Ph.D., assistant professor of human genetics; Michael Schmidt, Ph.D., research assistant professor of human genetics; Jeffery M. Vance, M.D., Ph.D., professor of human genetics and neurology; Brian Kunkle, Ph.D., postdoctoral fellow; Kara Hamilton, Research Support Project Manager; and James Jaworski, Research Support Project Manager. CASA investigators will analyze whole exome and whole genome sequence data generated during the first phase of the NIH Alzheimer’s Disease Sequencing Program, an innovative collaboration that began in 2012 between NIA and the National Human Genome Research Institute (NHGRI), also part of NIH. They will analyze data from 6,000 volunteers with Alzheimer’s disease and 5,000 older individuals who did not have the disease. In addition, they will study genomic data from 111 large families with multiple Alzheimer’s disease members, mostly of Caucasian and Caribbean Hispanic descent to identify rare genetic variants. Alzheimer’s disease, a progressive neurodegenerative disorder, has become an epidemic that currently affects as many as five million people age 65 and older in the United States, with economic costs that are comparable to, if not greater than, caring for those with heart disease or cancer. Available drugs only marginally affect disease severity and progression. While there is no way to prevent this disease, the discovery of genetic risk factors for Alzheimer’s is bringing researchers closer to learning how the genes work together and may help identify the most effective interventions. This effort is critical to accomplishing the genetic research goals outlined in the National Plan to Address Alzheimer’s Disease, first announced by the U.S. Department of Health and Human Services in May 2012 and updated annually. Developed under the National Alzheimer’s Project Act, the Plan provides a framework for a coordinated and concentrated effort in research, care, and services for Alzheimer’s and related dementias. Its primary research goal is to prevent and effectively treat Alzheimer’s disease by 2025. With the current award, CASA joins the NHGRI Large-Scale Sequencing and Analysis Centers program, an NIH-supported consortium that provides large-scale sequence datasets and analysis to the biomedical community. CASAresearchers will facilitate the analyses of all Alzheimer’s Disease Sequencing Project (ADSP) and additional non-ADSP sequence data to detect protective and risk variants for Alzheimer’s disease. “We are delighted to support the important research being accomplished under this broad-based, collaborative effort. A team effort is vital to advancing a deeper understanding of the genetic variants involved in this complex and devastating disease and to the shared goal of finding targets for effective interventions,” said NIH Director Francis Collins, M.D., Ph.D.
“At a time when fellow humans are living longer, it is critical to improve our understanding of the human brain and of the chronic neurodegenerative disorders such as Alzheimer’s and monopolar depression, with the aim of sheltering susceptible individuals from such devastating conditions,” said Pascal J. Goldschmidt, M.D., Senior Vice President for Medical Affairs and Dean of the University of Miami Miller School of Medicine, and CEO of the University of Miami Health System. “At the same time, the spectra of complex brain development anomalies, as in autism, seem to become more prevalent. This research initiative will go a long way in helping scientists and doctors understand, prevent, diagnose and resolve such brain anomalies. 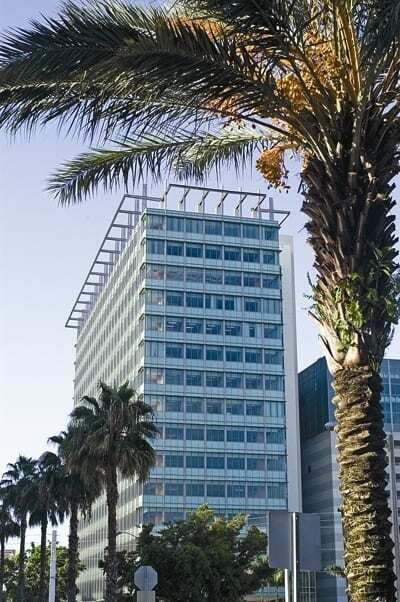 CASA is a collaboration of the University of Miami and four other American universities. Jonathan Haines, Ph.D., will lead the project at Case Western Reserve University, Richard Mayeux, M.D., at Columbia University, Gerard D. Schellenberg, Ph.D., at the University of Pennsylvania, and Lindsay Farrar, Ph.D., at Boston University. This research is supported by the NIA grant UF1-AG047133.